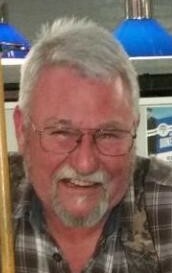 FARMINGTON - Edward F. Podgurski, 62, roamed into his next lot in life, on Wednesday, Oct. 31, 2018, at his home in Farmington, with his loving family by his side. He was a birthday gift to his mother, being born in Brockton, Mass. on Nov. 27, 1955, the eldest son of Edward B. Podgurski and Frances J. (Bunavicz) Podgurski. Ed was raised and educated in the schools of Stoughton, Mass., where he made many lifelong connections. He was a 1973 graduate of the automotive program at Southeastern Regional Vocational Technical School in South Easton, Mass. In 1977, he married Cynthia Pooler, with whom he had 3 beautiful girls that were his pride and joy. In 1987, they moved their family to Maine, seeking a comfortable, slower paced lifestyle, surrounded by the wilderness of the state he adored most. Ed was a hard worker from a young age, working at Joe’s Esso, A&W Root Beer, and as a paperboy, to pay for his own toys: i.e., mini bikes, motorcycles, and cars. Ed had a lifelong passion for Harley Davidson motorcycles. In his younger, wilder years, he was a member of the Pig Pen Motorcycle Club. Together, the members of this club created a 40+ year brotherhood that lasted up until the day he passed on. In his later years, he still enjoyed riding his Harley whenever the weather permitted. He also enjoyed helping in any way possible for countless memorial rides that were put on by local clubs, friends and family. Ed was an active member of the community. In 2001, he joined the Farmington Elks Lodge #2430. He was passionate about the Elk’s, his fraternal brothers and sisters, and all that the organization stands for. He was a Past Exalted Ruler, spent many years holding different chairs and heading and being a member of multiple committees. He was fiercely patriotic and was dedicated to making every annual Flag Day service better than the last. He spent countless hours volunteering with youth activities at ball games, the pan game at the fair, playing Santa for the children and grandchildren of lodge members, as well as for his dear friends at Harris House and also at local nursing homes. His genuine, infamous “HO, HO HO! !” will be sorely missed. He was an avid sportsman and enjoyed his spare time hunting and fishing. 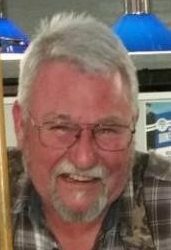 He was passionate about being an instructor for Hunters Safety through the Department of Inland Fisheries and Wildlife, for several years. He enjoyed sharing his passion for hunting, teaching and instilling in others, safety in the woods and how to respect fire arms, especially in our youth. He was always known to lend a hand, donate to any cause, and offer help to anyone in need. He loved life and cherished the many, many friendships, connections and bonds his outgoing personality acquired throughout the years. He will be sorely missed for his sense of humor, infectious and contagious laugh, genuine hugs, rants about politics and his quick, sometimes crude, wit that always brought a smile. To know him was to love him. He will lovingly live on through his parents; Edward and Frances Podgurski; his sister, Ann Ronald and husband Chuck; his brothers, Joseph Podgurski and wife Donna, John Podgurski, Matthew Podgurski and partner Cheryl Percival, and Mark Podgurski; his daughters, Jill Podgurski Smith and husband Shain, Kerri Podgurski and partner Jason Bard, Meredith Podgurski and partner Joshua LaPoint; his loving partner, Victoria Labree and her sons, Mike and Lucas Nevedomsky; his beautiful grandchildren; Brenner, Teagan, Quinn, Myla, Grace and Jolene; many aunts, uncles, nieces, and nephews; and several beloved, cherished friends. 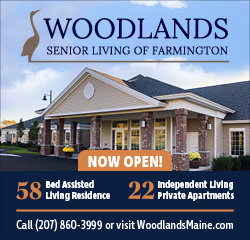 Special thanks to Androscoggin Home Care and Hospice, especially his nurse Shanna, whom he admired and appreciated. In lieu of flowers, we ask that you pay it forward in any way, in his honor. If you wish to make a monetary donation, please consider supporting the youth activities program, or Maine Children’s Cancer program through the Farmington Elks Lodge, P.O. Box 526, West Farmington Maine, 04992. All services are open to the public on Saturday, Nov. 17, 2018, beginning at 11 a.m., at St. Joseph’s Catholic Church, 133 Middle St, in Farmington; then at 1 PM, at the Farmington Elks Lodge, 120 School St in West Farmington, followed by a celebration downstairs. Cremation arrangements are under the direction and care of Dan & Scott’s Cremation & Funeral Service, 488 Farmington Falls Rd., Farmington, ME 04938. To all of Ed's Family: So sorry to hear of Ed's passing. My sincere condolences are with you all during this very sad time. My heart goes to Eds family. The community lost a great guy. Kerri, Meredith, and Jill I am so sorry to hear of your Dad's passing. Sending love and prayers to you and the whole family. I am so sorry for your loss. I am a Big Fan of this Man. I always enjoyed his quick wit, sense of humor and the way he’d tell it like it is. I’d like to think he really got the most out of the 62 years he had here...his stories were always great, and I knew him as a very generous Man. My deepest condolences to you girls. Ride On Ed. Our PRAYERS and condolences to Victoria and the family. Some day we'll join you on the other side. Farwell with the ELEVEN 'O CLOCK TOAST. Our PRAYERS and condolences to Victoria and the family. Some day we'll see you on the other side. Farewell with the ELEVEN O' CLOCK TOAST. I met Ed a couple of years ago when I bought a Ranger from him. Although we were political opposites we enjoyed talking. He was an old school guy and a blast to talk to. Any one who loves the Three Stooges is okay in my book! Rest in peace,Ed. It always makes me sad to lose men like you. Kerri and family so sorry for your loss. So sorry to hear of Eddies passing. May loving memories help you through this difficult time. Eddie was one of the good guys he will be missed. Rest in peace Ed. My deepest condolences to Ed's family. I knew Ed for many years I met him on the damn over at Old Albert's Pawn fishing when I was in a round first or second grade always a pleasant kid good guy to know we later on went to the regional school together after junior high will be sadly missed. Vicky, Kerri and Meredith, our deepest condolences. We’ve enjoyed Ed’s wit and stories too! We’ll miss his visits, his phone calls about vehicles, and mostly, his friendship. We hope the good memories carry you through this most difficult time. My condolences to Ed’s family and Vicky. I was surprised and saddened to learn of his passing. Since he joined the Elks, we became the best of friends. He affectionately called me Mr. Bill and I called him Special Ed. Unfortunately, I moved away in 2004 and we lost touch with each other. I always missed seeing his smiling face. We are so very sorry to hear of Eddies passing. We have very many fond memories of time we spent with Eddie. Our prayers and condolences to the Podgurski family and close friends. Rest in Peace Ed. Dear Cindy, my thoughts and prayers are with you and your family at this difficult time. Eddie was always fun to be around, have not seen him in years but still have found memories of him and his family when they were young. Good guys like Ed tend to be a rare breed. Good to the core. Really sorry to hear this. Heartfelt condolences to the family and to his Brother Elks. I am so sorry for the loss of your Dad. He must have been a wonderful person. We were so sorry to hear of Eddy's passing, way too young for a good guy. We have known him since he was a very young man when he was a paper boy for Mr. & Mrs. G. We watched him grow into a man and get married and be the proud father of 3 beautiful girls whom he loved so much!! He will most certainly be missed. Our sympathies and prayers go out to the entire Podgurski family and God bless you all and give you strength.